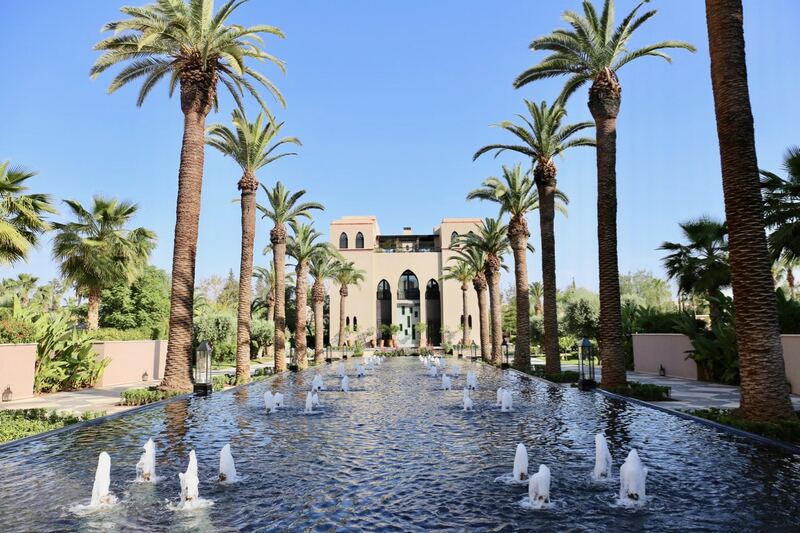 Located in the heart of Morocco’s most lively city, the jaw-dropping Four Seasons Resort Marrakech is located on a 40-acre Moorish garden sanctuary – perfectly situated between the Red City’s fabled, ancient medina and the cosmopolitan neighbourhoods of the Ville Nouvelle. Each of the hotels 139 rooms inspires a different experience, from spacious doubles with breathtaking views of the snow-peaked Atlas Mountains, to intimate pavilion suites with private plunge pools. Four Seasons Resort Marrakech’s world-class spa inspired by ancient Moroccan hammam and beauty treatments is the perfect place unwind. Or simply enjoy a stroll through the property’s lush gardens where fragrant florals from jasmine and rose alongside a parade of breezy palms offer a divine natural sanctuary. Skip through the hotel’s lobby and you’ll find two oversized vintage cages where petite birds offer a warm chirp as welcome. 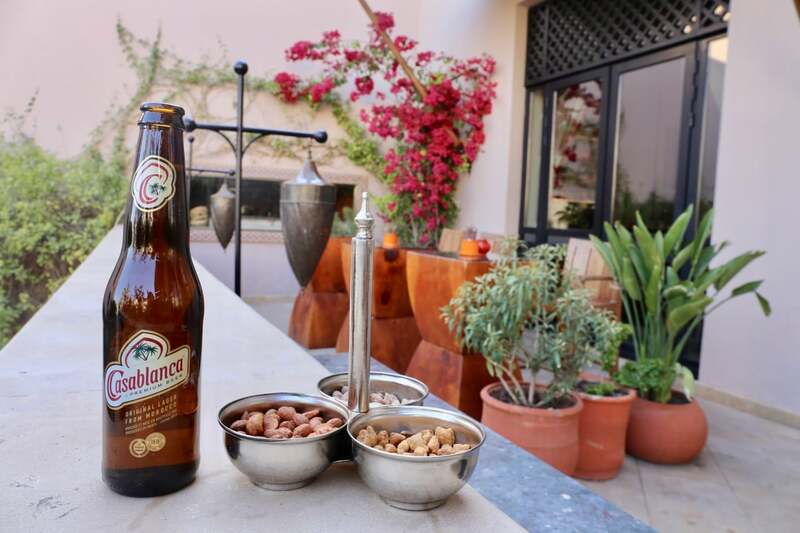 Stroll over to Inara Lounge and plop yourself down on the balcony and you’ll enjoy jaw-dropping views while sipping Morocco’s iconic Casablanca brew, served alongside a trilogy of spiced nuts. In the evenings a local musician strums on his Moroccan folk guitar, creating a relaxing mood as the sun sets across the horizon. 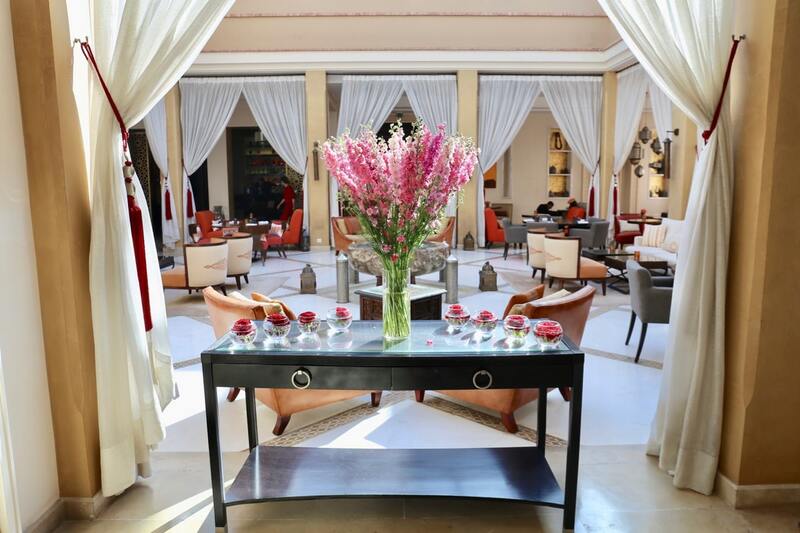 Just last August Four Seasons Resort Marrakech launched its newest culinary concept. 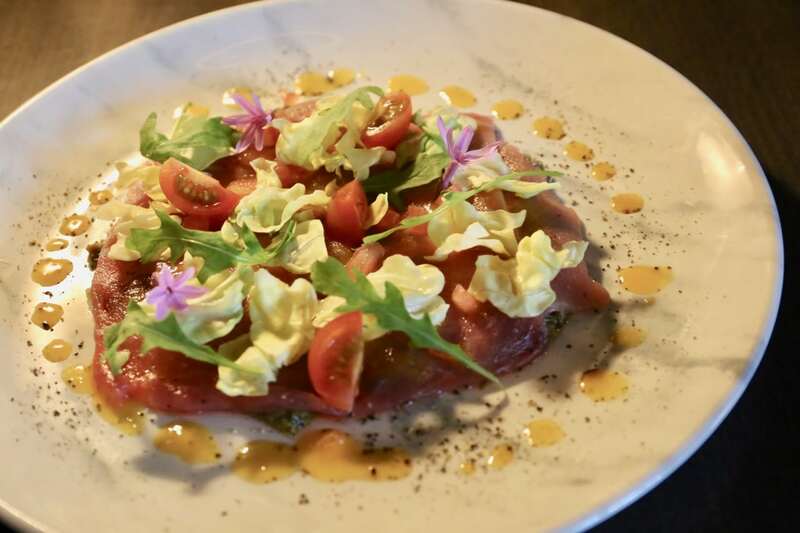 Overseen by the resort’s Executive Chef Thierry Papillier, Quattro is an enchanting and romantic restaurant inspired by the four most southern regions of Italy – Sicilia, Puglia, Calabria and Campania. 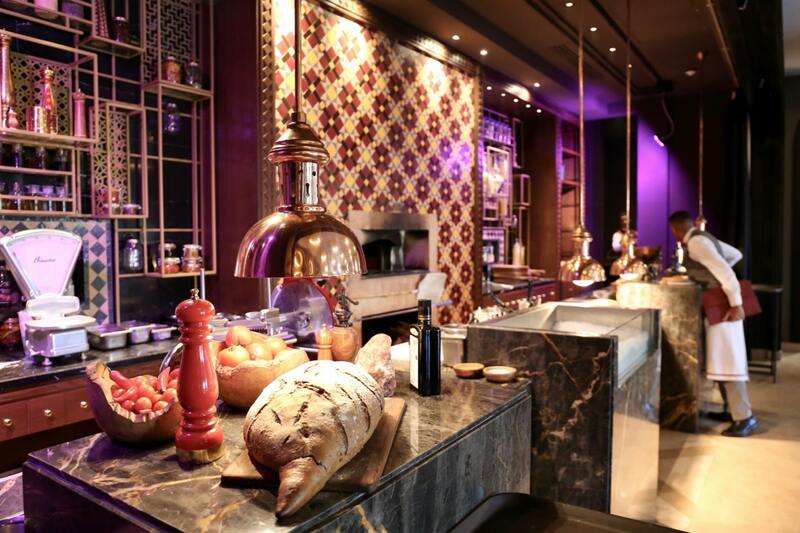 Overseen by Paris-based designers Atelier POD, the interior of Quattro showcases the cultural blend between southern Italy and Morocco, reflected by the combination of zellige and marble found on both continents. 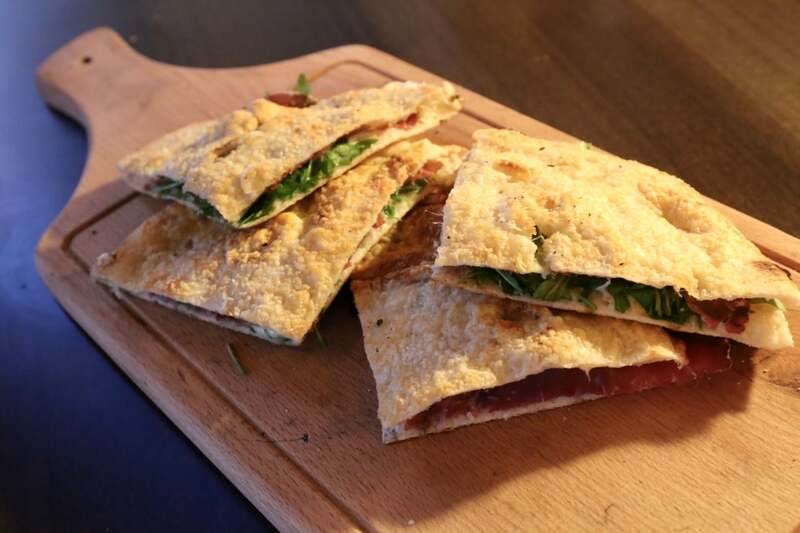 Keen on dining al fresco? The most popular spot to sip cocktails during the dinner hour is on Quattro’s terrace, providing an impeccable view of the resort’s iconic fountain. 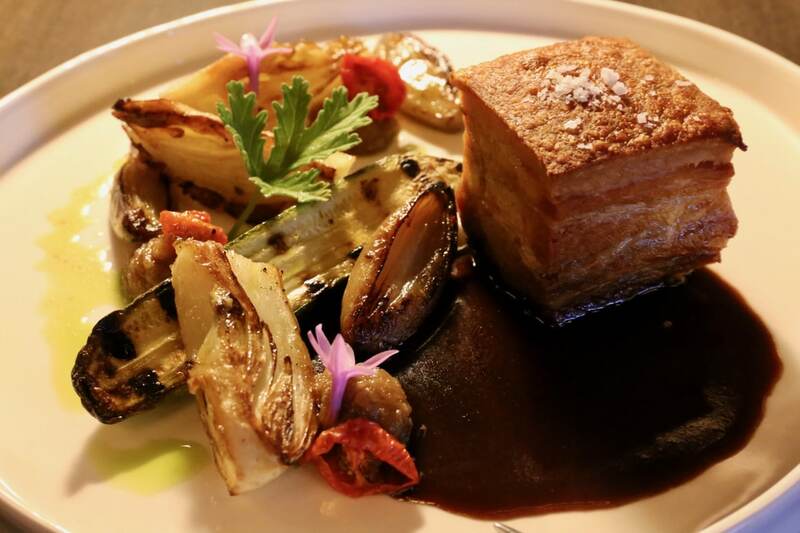 At the helm of Quattro’s kitchen is Chef Marco Terranova from Sicily. 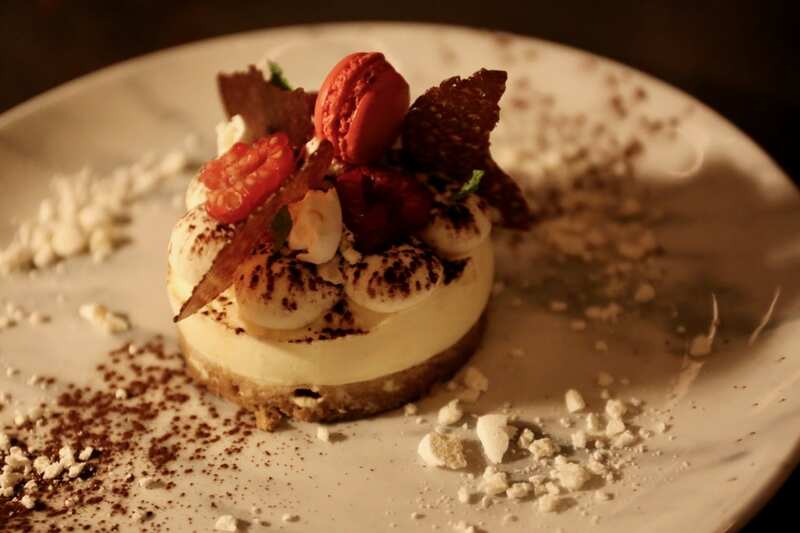 Nurtured by the Chef’s childhood memories in Italy, the essence of Quattro’s menu reveals Italian traditions through a distinctive selection of recipes made with seasonal and fresh products grown locally in Morocco. 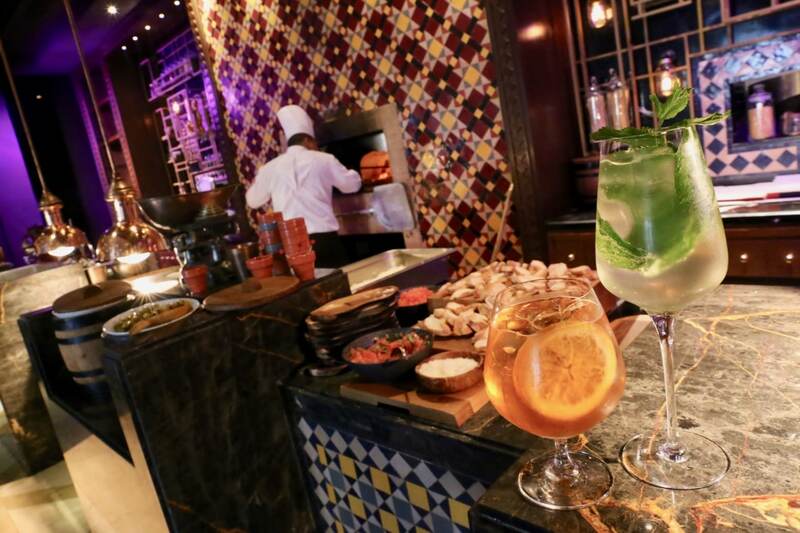 Start your Quattro experience by hopping up at the restaurants slick bar and watch as the resident mixologist carefully crafts Italian-inspired libations featuring bubbly Prosecco and bitter orange scented Aperol. 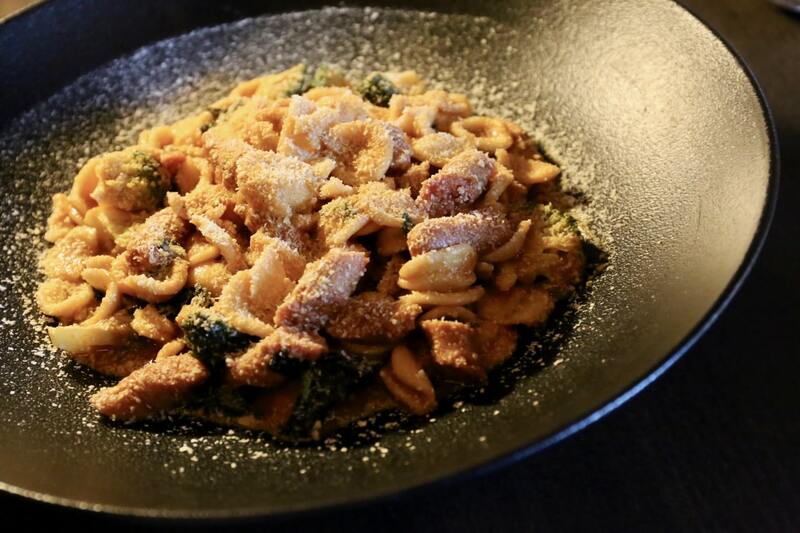 Once seated in the dinning room, run your finger down the menu and you’ll find subtle Arabic influences in the dishes: a discreet heritage from the influence of Arabs in these regions of Italy that guests can notice in the signature Sicilian couscous. 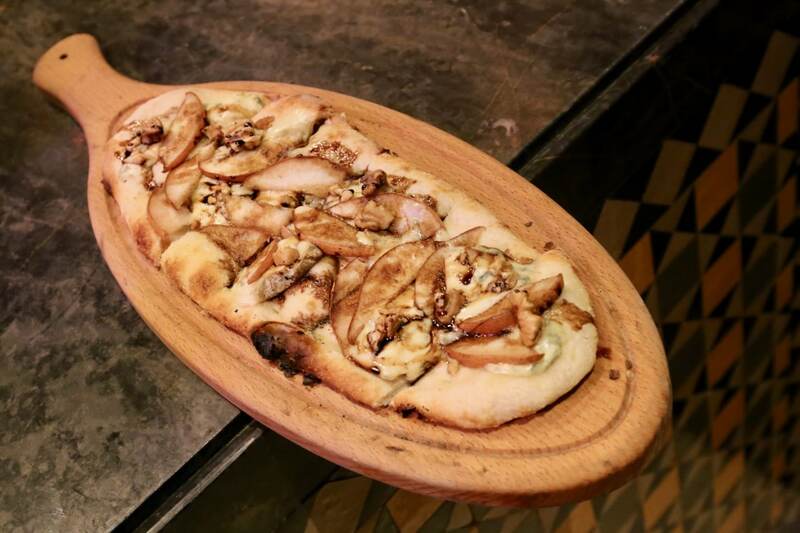 Other choices include succulent pastas, meat and fish made with authentic recipes, or the chef’s signature pizzoli, an crispy Sicilian pizza. 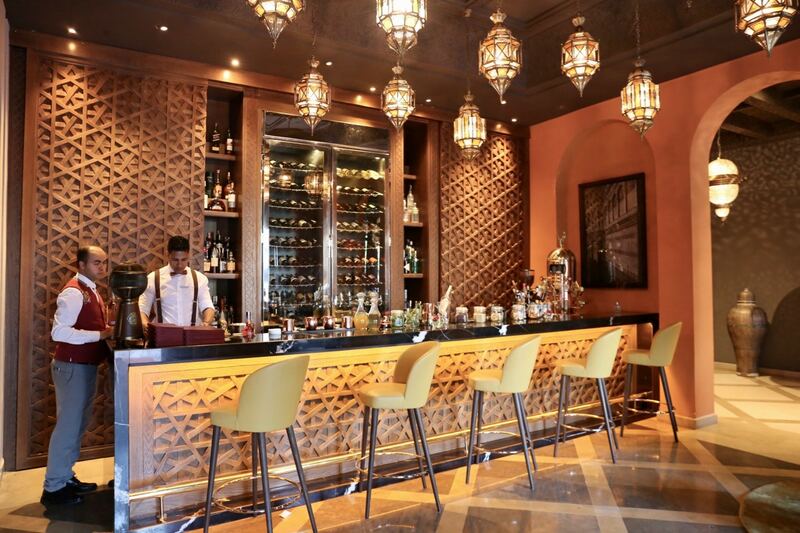 Sit back, relax, and swirl a glass or two of fine Italian wine while twirling through slippery noodles and nibbling perfectly crunchy focaccia and you’ll find you’ve arrived in Nirvana – sublime Italian flavours in the beating heart of Morocco.